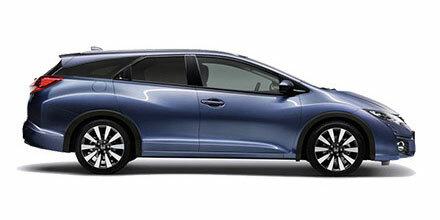 Honda Civic Tourer 2015 - Class leading interior space. Designed to be practical and stylish from every angle. Each new 2015 Honda holds a bold, dynamic, sporty profile, with practical interior and the latest technology at your finger tips. It has a class-leading boot space and magic seats that can fold in various configurations so you can make your space work how you want it to. Adaptive rear suspension available on Sport, Lifestyle and Executive grades, and the latest 1.6 diesel i-DTEC Earth Dreams Technology Engine providing emissions of only 99g/km* of Co2.